Stress is, without a doubt, a major player in a host of different health problems—including anything from anxiety to cardiovascular disease to IBS. How do we combat the epidemic of chronic stress? First, we must better understand it. In fact, if you looked around at most of the population, you'd think that being stressed, anxious, depressed, irritable, addicted to caffeine and craving salty or sugary foods was normal human behavior. But just because something is common doesn't make it normal. This undercurrent of stress in our society is something we can first address within ourselves. Join Sara Green and Dr. Sam on October 24th to look inward and find the roots of stress and tools we can utilize to diminish it. The next few months are filled with celebrations: Halloween, Thanksgiving and Christmas. 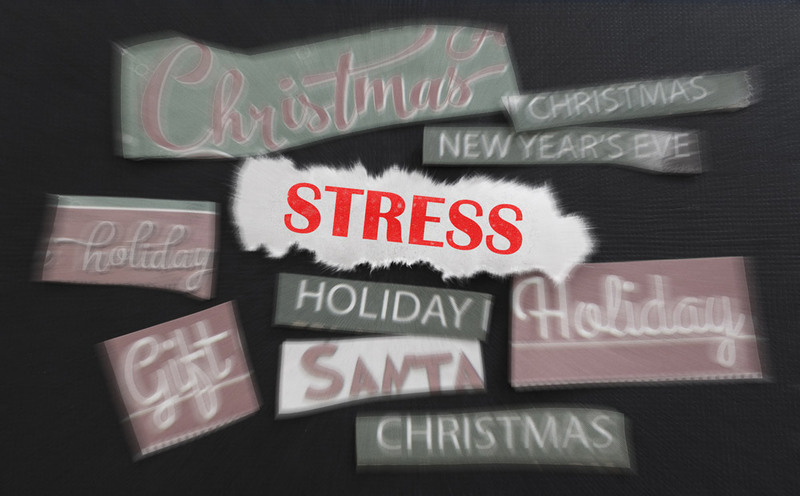 Anxiety and stress start to heighten at this time of year. We may worry that the Holidays will de-rail us from our healthy habits. There is a lot to cope with. All the preparations, hosting, cooking, multiple commitments and dealing with dynamics in relationships can lift us up but also leave us feeling drained. So how can we approach the Holiday season with a new perspective? A healthier way of coping. Through reflection, self-care and body-listening, we are able to understand what habits are working and not working for us so that we are able to find ways that truly nourish us to stay healthy over the Holidays.